When your child reaches the age of eight there can be a shift in the emphasis placed on spelling. At this age they'll be linking between the sounds of letters and how words are made. Help the kids out and have fun at the same time with this word find aimed at kids aged seven to eight. Print this kids' word find and see just how clever they can be with their letters. This word find has words placed backwards, forwards and diagonally. It is a little more challenging for older kids. 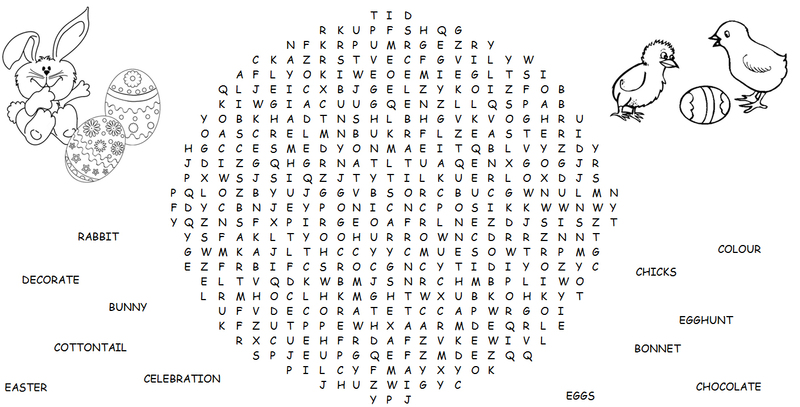 Print this word find for the kids to complete and decorate for Easter.